Some years are better than other years. Some years look like the 1962 season of the New York Mets when they lost 120 games out of 162, or the 1976 season of the Tampa Bay Buccaneers who went 0-14. I have had one of those latter years. In the spring, a family crisis put an extraordinary strain on all of us. This October I painfully ended my tenure at my church as senior pastor. In November, my brother-in-law died of a heart attack. He was one year my junior. In the past year, there have been few days when the tentacles of stress were not wrapped around my heart. But my year does not compare to the the years depicted in the lives of Victor Hugo’s characters in Les Miserables, touted as “one of the half-dozen greatest novels of the world” by author Upton Sinclair. The book was adapted into a Broadway musical in 1980 and has inspired numerous film versions, the most recent one released in theaters in December 2012. Hugo set his story in the social and political chaos that followed the French Revolution. 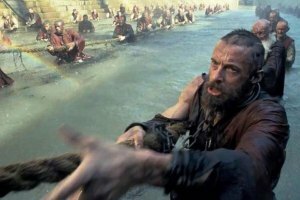 The principle character, Jean Valjean, was condemned to 5 years in prison in 1796 for theft – he stole a loaf of bread to feed his sister’s starving daughter. Repeated attempts to escape compounded his sentence to 19 years. The scene opens with Valjean’s parole and futile attempts to find work or assistance. Turned away from every inn in town, he locates a secluded spot on a street and settles down for the night. An elderly woman discovers him and directs him to the bishop’s house. Bishop Myriel was endowed with a heart full of grace and mercy and readily welcomed the ex-convict, feeding him a hearty meal and providing a warm bed. Having lost all hope for a future and encumbered by the desperation of his habit of life, Valjean steals the good bishop’s silver utensils and flees in the early morning. He is quickly apprehended by the police, but he claims the bishop gave him the silver. The police return him to the bishop, who corroborates Valjean’s story and indicates that he had forgotten the most valuable pieces, two candlesticks. This single act introduced Valjean to spiritual transformation. Six years later, he resurfaces in the story as a wealthy factory owner and mayor of a small French town. Having adopted the name Madeleine, he abandoned his identity and former life and destroyed his official papers. Known for his generosity and compassion, he uses his position for the benefit of others, providing employment for the economically afflicted. One of his employees, Fantine, had fallen victim to a summer romance and was left with a child and no means of support. She gave the child, Cosette, to an unscrupulous couple for care and nurture, sending as much as money as she can, at great personal sacrifice, for Cosette’s support. Unjustly dismissed by the factory foreman, Fantine sells her hair, two teeth, and eventually the only the thing left to sustain her existence, her moral dignity. Valjean encounters Fantine in the street after an altercation with a man. The police inspector, Javert, was arresting her when Valjean intervenes and orders her release. Fantine tells him her story, bringing upon Valjean the guilt of his neglect for the attentive care for his employees. 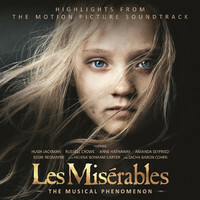 Noticing the desperate health of Fantine, Valjean takes her to a hospital and promises to bring her daughter to see her. Breaking parole makes Valjean the object of Javert’s attention, the rigid and relentless servant of the law. 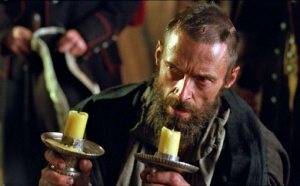 Suspecting that Monsieur Madeleine may be the fugitive Valjean, he inquires about him, but learns that a man in another town was currently standing trial and had been identified as Jean Valjean. The inspector confesses his mistake to Valjean. When Valjean learns of the false identification, he is faced with a moral dilemma. To remain silent would send an innocent man to a severe prison sentence. To speak up would mean his own arrest, the loss of his factory and the financial distress for his employees. He realizes that the injustice would haunt him the rest of his life and reveals his identity to the court on the neighboring town. Javert hears about Valjean’s revelation and tracks him down at the hospital. 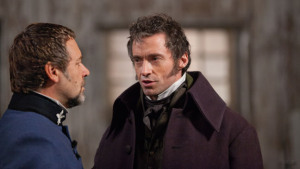 Void of any mercy, Javert arrests Valjean, denying him the benevolent deed of bringing Cosette to see her dying mother. Overcome by despair, Fantine dies. 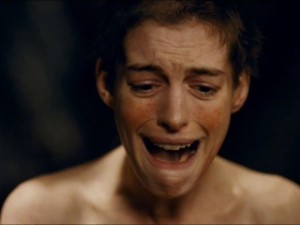 Fantine weeps in despair of her dissolute life. The story continues like this with Valjean escaping, finding Cosette and raising her, eluding Javert repeatedly, sparing Javert’s life when he was captured by student revolutionaries, saving the life of one of those revolutionaries with whom Cosette fell in love, and Javert’s perilous decision in the end. By the end of the movie (or stage play or book), you will be in tears over the unending anguish of all the characters. But standing out like Mt. Everest in the Sahara Desert is the story of redemption. Valjean is irreversibly changed by the bishop’s powerful act of love and grace and he doggedly extends the same love and grace throughout the remainder of his life. The darkness of persistent misery is drowned out by the beautiful light of invincible grace. Hugo’s story mirrors the Bible’s story of the redemption that rescues miserable sinners from the cesspool of sin. The supreme act of grace came at the cross, where Jesus purchased our souls from perdition and gave them to God. And those who experience that redemption repeat that act of grace hundreds of times to touch other lives for the kingdom of God. No matter how hard it gets, no matter how dark it becomes, no matter how desperate your condition, the power of God’s redeeming grace can lift you out of the darkness and into his healing and rejuvenating light. I would highly recommend seeing the movie or stage play this year. It may completely change the way you respond to the adversity that awaits you in 2013. This entry was posted in Grace, Movies, Redemption, Suffering, Uncategorized and tagged Bishop Myriel, Fantine, Javert, Jean Valjean, Les Miserables, redemption. Bookmark the permalink. “Thank You,” Stan — for your blog’s composition and endorsement of this outstanding Victor Hugo story (now in movie-form / currently showing in theaters); it is impressive to note how ‘internationally beloved’ this saga has grown. It’s tale of redemption is one many lives need to consider, no matter what era nor what sins are involved. Most importantly, dear Stan – your long time friends are greatful for the way YOU have conducted your own life, devoting your abilities, concerns, etc… to your faith and the salvation of other’s souls. May GOD’s blessings be with you and all under-your-wing in 2013 and always. I am humbled by your comments, Audrey – not sure how worthy I am of them. My effort seems pretty puny sometimes. But we all contribute in some way when we seek his kingdom first and I am trying to do that.